Honda's web site is a bit more cautious than the article above, defining "nationwide" as "...states that have sufficient CNG stations within close proximity to authorized Civic Natural Gas dealers." But it is a start, especially given the growth (slow, but methodical) of CNG fueling infrastructure across the country. 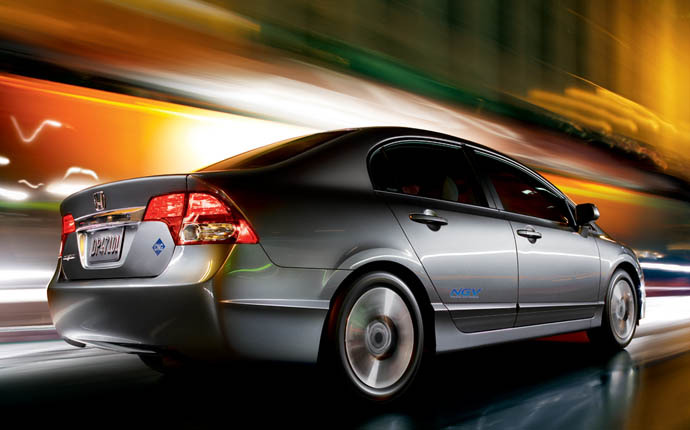 Honda is changing the CNG Civic's name from the Civic GX to Civic Natural Gas ("Civic Natural Gas" = CNG, get it?). In gallon equivalents, the CNG's mileage is rated at 27 MPG city/38 MPG highway/31 MPG combined, but of course the cost of natural gas is significantly lower than regular gasoline, so it's not exactly an apples-to-apples comparison. The car will be assembled in Indiana. For those interested, the press release is full of all of the auto technophile's data, from MacPherson struts to compression ratios.